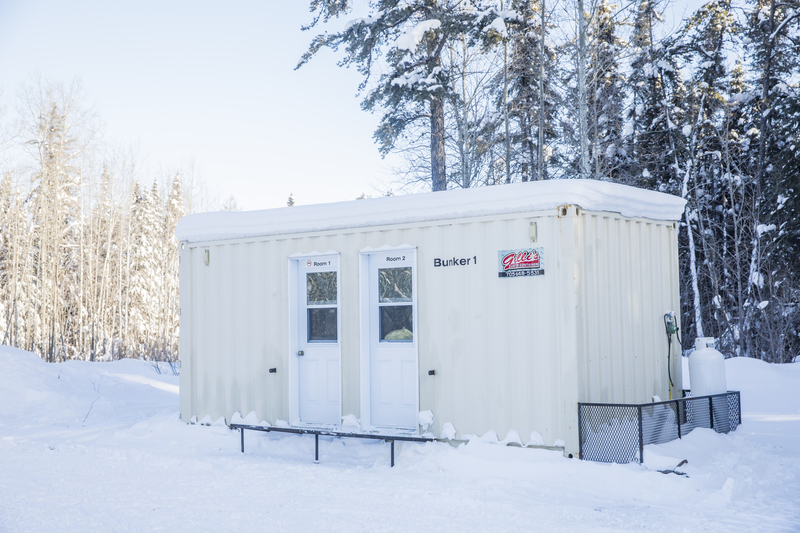 With new owners taking over this past September, Abitibi Canyon Base Camp is set to have a dramatic makeover, much to the excitement of the snowmobile community! 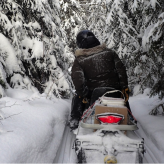 Without it, there would be no reason or way for the Ontario Federation of Snowmobile Club (OFSC) groomers to make the long, 12 hour trip up the stunning 103A trail. 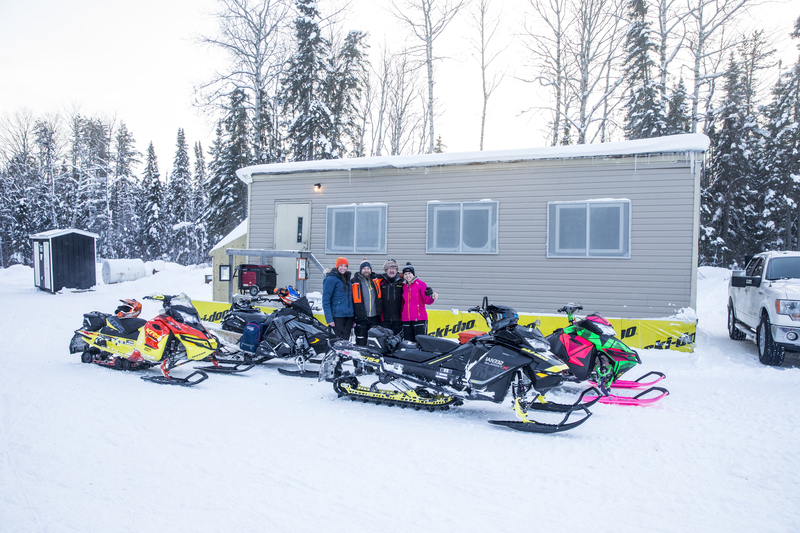 Now under the care of a new owner and management, team Abitibi Canyon Base Camp stands to become a premier location for snowmobilers in Northeastern Ontario! Having visited the Base Camp myself a few years ago and then venturing northward at the beginning of the 2017 season, I was beyond excited to see the changes that have already taken place. 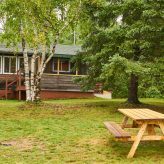 Only a few short minutes from Abitibi Canyon itself, the Base Camp is the perfectly located. 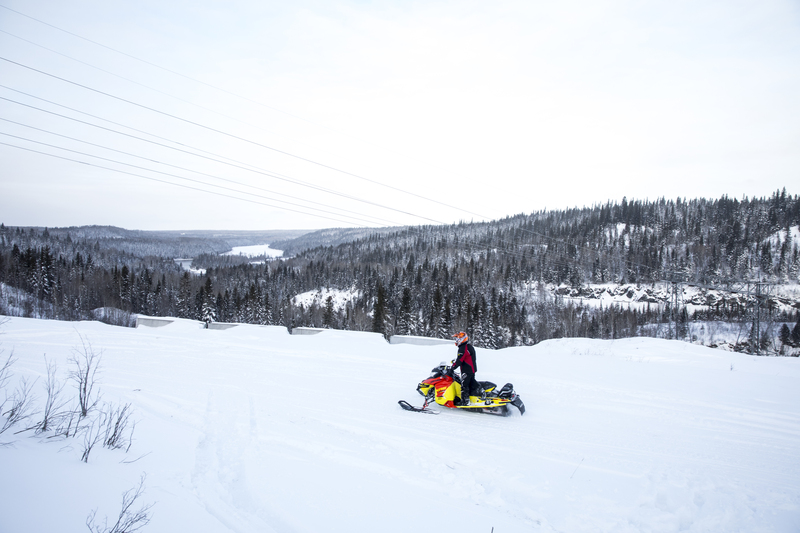 If you’ve never been to Abitibi you’re missing out on amazing trails, incredible backcountry, and some of the most scenic riding in the province. 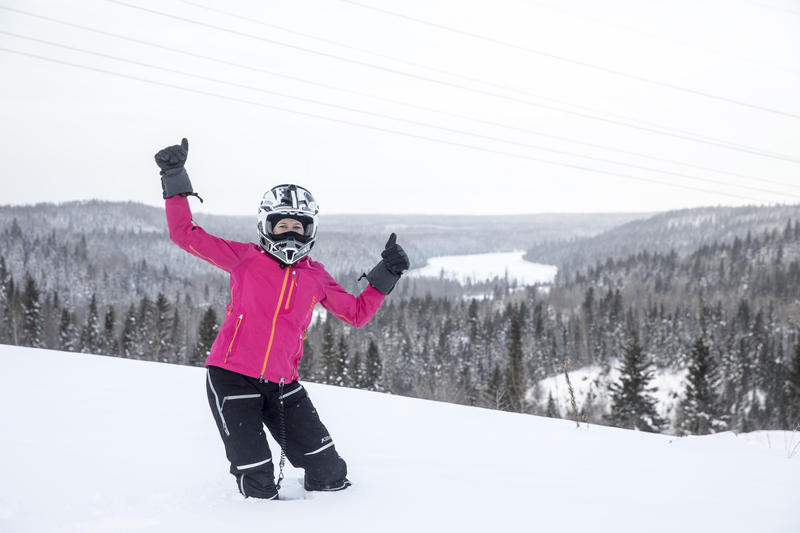 Base Camp Abitibi Canyon is just the icing on top of the perfect snowmobile paradise sundae. This area has always been one of my favourite places to ride for the views, the friendly people, the delicious food and the reliable fact that there is always SNOW! 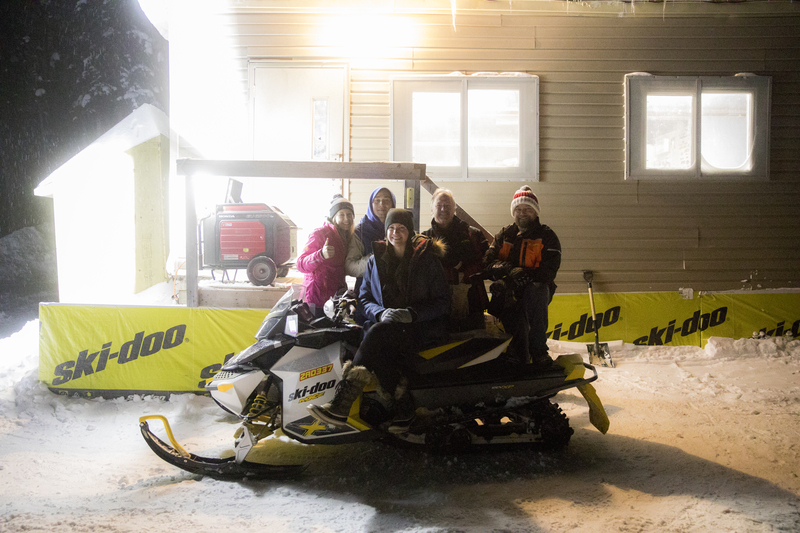 I truly felt that the Base Camp was a great place to grab a bite to eat, warm up and talk about the day’s adventures, and reminisce on my once-in-a-lifetime experience. We were lucky enough to also have the chance to stay on-site and wake up only minutes from the Canyon! Pretty soon it will also be a great place for many more people to hang their helmets up and catch some zzz’s after an awesome day riding trails or boondocking with friends. The new team working under Joe McDonald and his son, Michael Lobb, have been able to make major improvements to the facility since they took over in September of 2016. 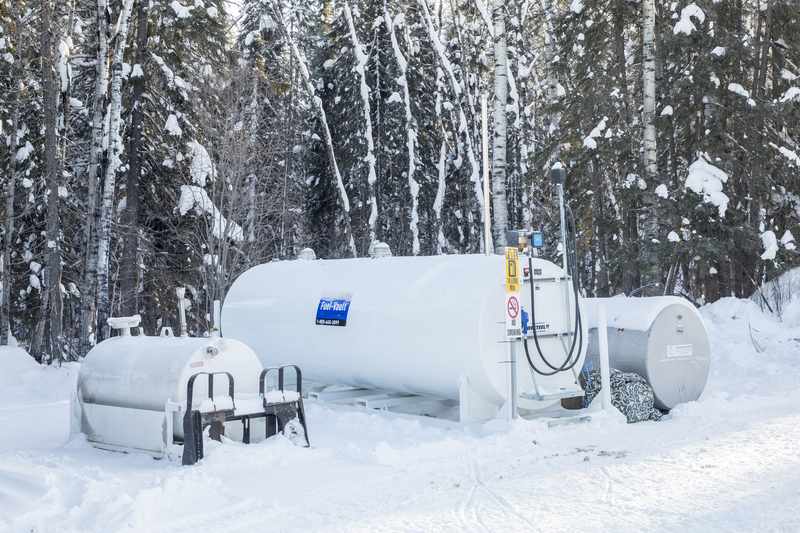 They have brought in two brand new fuel tanks filled with premium and diesel fuel, updated the current building, added a brand new storage container (that can be heated) for fixing broken machines, and new sleeping quarters. With plenty of space to park a truck and trailer, you can also stay on site. As of the date this article was published, a heated washroom unit has arrived on site, but aren’t quite ready to be used. 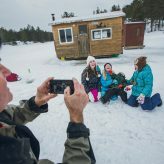 The Base Camp team has been working tirelessly to have them ready to go by the time the season takes off in early February. Next season Michael and the Base Camp team are planning to have more rooms for people to rent, a bigger kitchen with more meal options along with running water, and HOT SHOWERS! 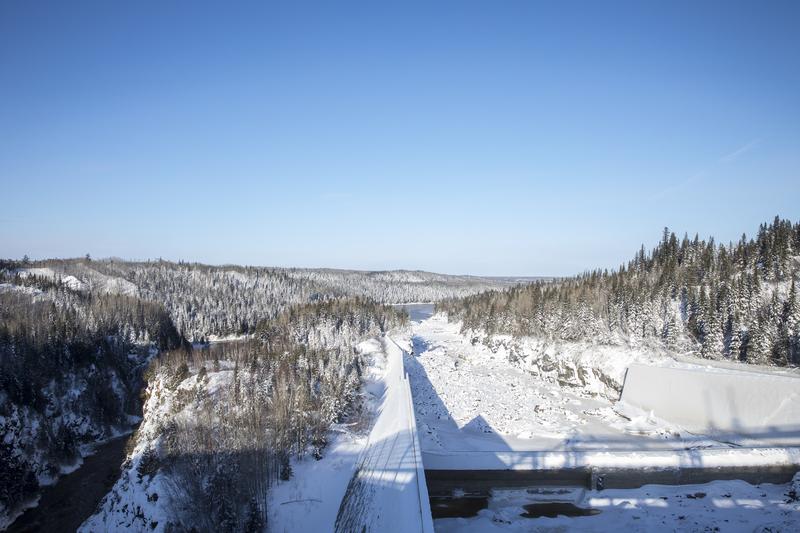 For anyone looking to make the journey north to where they measure snow in feet instead of inches, the Abitibi Canyon loop from Cochrane or Smooth Rock Falls is certainly a must. Say “Hi” to the guys at Base Camp Abitibi Canyon for me! And let them know how much we sledders appreciate them running their facility in the dead of winter for us!